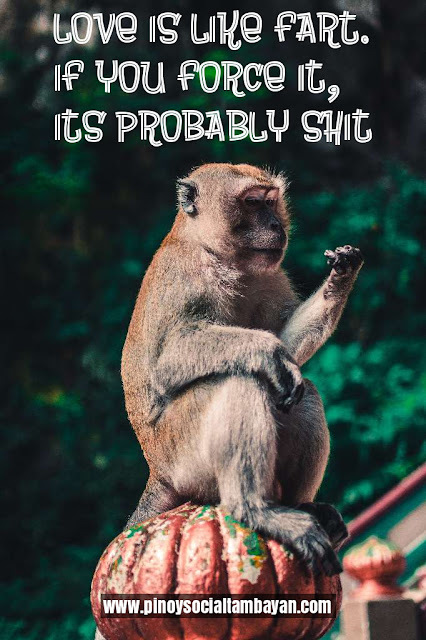 Just a little dose of funny sayings to give ourselves a break from any problems and stress that we are currently facing. Do yourself and your funny bones a favor by laughing with us through these sayings. FART. Love is like a fart. If you force it, it’s probably sh*t: this is really funny and somehow true. Love should not be forced, you should let things happen freely. Because if you will force it, there’s a big tendency that it will only last for a short time and that makes it a one big sh*t. If you are in love with someone, never force him/her to love you back. Love is real and wonderful if it is given freely and wholeheartedly. AIR. 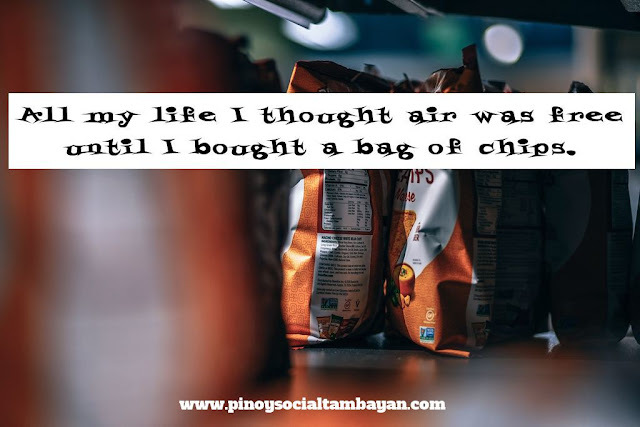 All my life I thought air was free, until I bought a bag of chips. Hahaha! Well I know everyone who is fond of eating chips could relate to this. Almost all chips in the market are half-filled with chips and the other half consists of air only. Cheers to food companies who offer bag of chips that are fully-filled; they are real heroes. Hahaha! FUNNY ME. 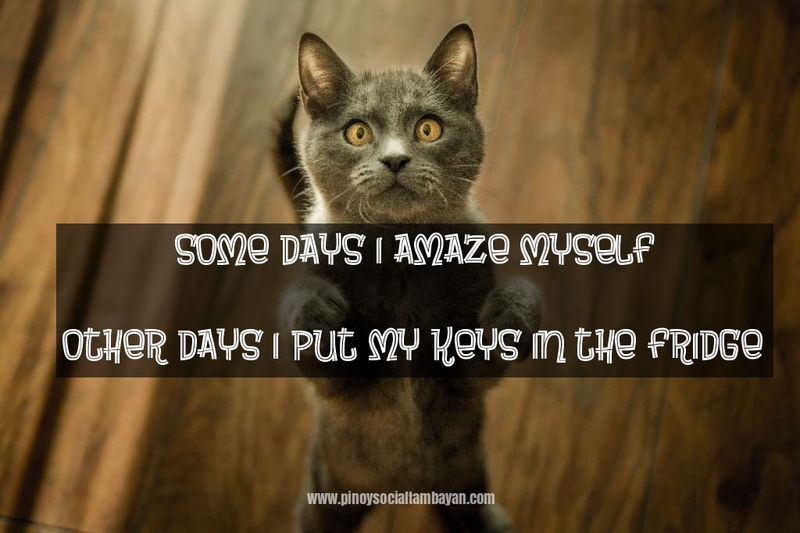 Some days I amaze myself. Other days I put my keys in the fridge. Haha! Anyone who had experiences putting their keys in the fridge or in any place where it should not have been left there to begin with? Well we all have days where we amazed ourselves by the things we have done, and days where we can say “What the hell self?” And it’s normal to be like this. We commit little mistakes in life. What’s important is, we may laugh about it but we should also learn from it. For more Funny Quotes, feel free to visit and follow our Official Facebook Page https://www.facebook.com/phquotestagalog/ and our Official Twitter Account @PinoyQuotes365 . For more Pinoy Quotes, Love Quotes, Jokes, and Hugot Lines visit us again here at https://www.pinoysocialtambayan.com/ and at our Facebook Page and Twitter Account.